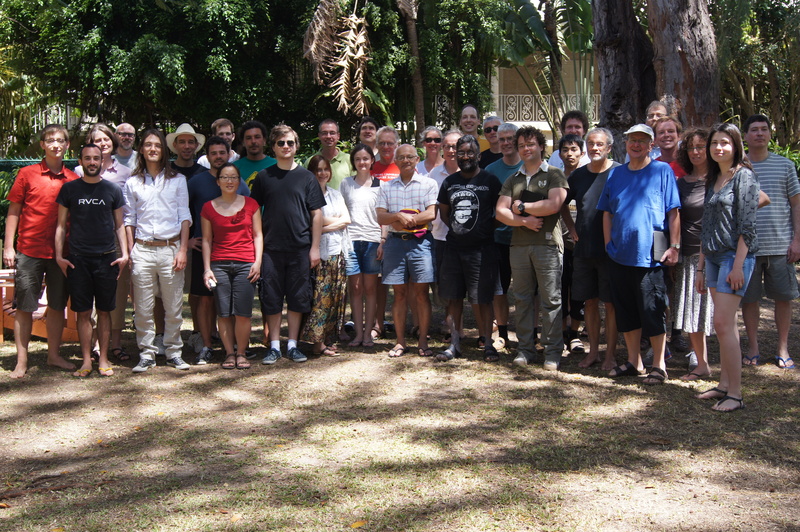 This edition of the Bellairs workshop series will bring together scientists whose work in diverse fields (including quantum theory, control theory, concurrency, circuit theory, database theory, Bayesian probability and natural language processing) takes place within a common mathematical framework, based on monoidal category theory and inspired by programming language semantics. A workshop on Logical Foundations for Data Science will run in parallel at the same venue, with organizers Prakash Panangaden and Alexandra Silva. The workshop will be held from 18th March (Sunday) to 22nd March 2018 (Thursday) at the Bellairs Research Institute on the island of Barbados, owned and operated by McGill University. Saturday 17 will be devoted to a one-day excursion. The practice at these workshops has been to allow the speaker ample time to get to technical details. There should be lots of opportunities for extensive small group discussions; we will not cram the schedule with lots of short talks. The talks are given on primitive chalkboards. Please do not prepare slides for a data projector or plastic transparencies. The workshop organizer is Fabio Zanasi. Attendance is by invitation only. Here is a provisional list of participants. Here is a provisional programme. The airport is on the east-south point of the island and Bellairs is on the west side in the Parish of St. James (about a 40 minute taxi drive). Here is a map of Barbados. Tell the taxi drivers to take you to Bellairs Research Centre in Holetown. Holetown is small and Bellairs is on the main street - it is just north of Folkstone Park. When filling in the Immigration form at the airport give the address as Bellairs Research Institute, Holetown, Parish of St. James. The taxi ride should cost about $35- $45 U.S. Barbados is safe and one shouldn't worry about travelling alone during the day. US currency is freely accepted at 2 Barbadian dollars per US dollar. Other currencies (Pound sterling, Canadian dollars) are not accepted; you will have to change them at banks or at the airport. Some people had trouble using their bank cards from Europe, but Canadian and US cards seem to work fine. At the airport if you go around to the departures side just after you arrive you will find cash machines there; strangely there are no ATMs at the arrivals area. Good things to bring are suntan lotion or dark skin, mosquito repellent, swimwear, papers/books/stationary and light clothing (it will be pleasantly warm). There is wireless hookup for laptops so you can bring your own laptop. There will be a workshop fee of US $100 to cover administrative costs. The cost of a room will vary, but should be approximately between $35 and $50. Dinners will be served on site for US $25 per meal and breakfasts for US $8 per meal. Payment can be made by credit card. The room allocations are made by the organizers, please do not contact the Bellairs staff to make room bookings. Here is a picture of the workshop participants from a few years ago.